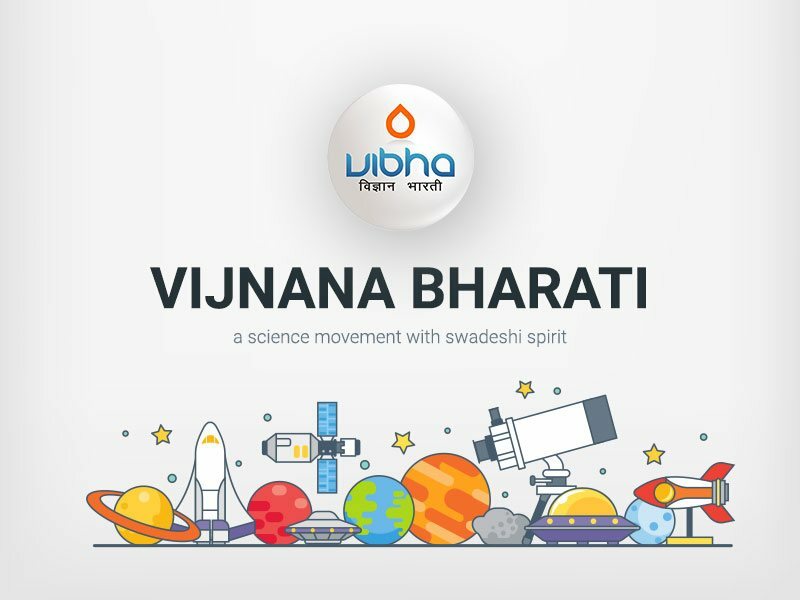 Vijnana Bharati (VIBHA), during its Governing council in Pune (Oct 16) and Delhi (Feb 17) decided to celebrate its silver jubilee year by organizing a number of different events and activities during the year. As a new initiative for the silver jubilee year, it was decided to honour the extra-ordinary people of science, from among the scientific community of the country, for their meritorious contributions that have helped to further the cause of nation building. It was decided to start VIBHA Rajat fellowship for professionals and students. The VIBHA fellowship committee extensively debated on the issue of starting the new fellowships programme, especially since the national academies already recognize such meritorious work of people of science. It was argued that while this is so, the purpose of VIBHA fellowships is somewhat different. The VIBHA fellowships not only intends to recognize the excellence in science as seen through high impact journal publications and quality patents, but also aims to look at the translation of these ideas to practice. It is general observation that much of the good work stops once a publication or patent is realized. The VIBHA fellowships aim at recognizing the work that goes beyond publication/patent and actually sees the translation to real practice. The VIBHA fellowship would encourage people to travel this road, if not already done. It is realized that this is a hard, strenuous and time consuming task and the individual who created the good work and proof-of-principle may not be the right person to continue beyond publication/patent. The chain and the link can be carried forward by some other interested individual, once the idea is recognized. The intention of VIBHA fellowship is to encourage the scientific community towards the final goal. It is also realized that the final goal should be in alignment with the objectives of the national themes of importance and should contribute to several government initiated schemes such as make-in-India, start-up India, digital India etc. The VIBHA nomination form is thus designed to extract information pertaining to quality publications, IP`s, conversion to practice, relevance to national themes of importance to the society and connection to government initiated schemes. The VIBHA nomination form is enclosed for your scrutiny along with the guidelines for the expert committees. It is intended to elect about 25 to 30 VIBHA fellows and about 50-60 associate fellows (below the age of 45 years) every year. Expert committees in thematic areas will be formed and be responsible for recommendation of the nominees to VIBHA fellowships and associate VIBHA fellowship. The recommendations will be looked at by the VIBHA fellowship committee/VIBHA Academic Council for their final approval. The VIBHA Fellowship committee recommended to create 100 VIBHA student summer scholarships every year. The VIBHA scholars will work for two months during summer with VIBHA fellows. The terms and conditions for selection of such students are same as those followed by the national academies including stipend. VIBHA will reimburse the expenses.